As a world-leading telecommunications corporation, Vodafone Group Plc provides for more than 500 million customers in 25 countries around the world. Vodafone was recently looking to revamp its existing office design by improving open-mindedness, transparency and general communication and cooperation initiatives among its employees, of which it has 111,000 globally. Dirk Geraths, Senior Project & Workplace Manager of Vodafone Germany, emphasized that during the design of its office, the company was especially considering innovation and creativity. “The quality and workmanship of Framery convinced us. The acoustics effectiveness – combined with the fresh design – represent a benchmark,” he said. While Framery pods genuinely bring premium functionality, in addition to the beautiful design that delight users, collaboration is also key and is one of the most important aspects of today’s modern office concepts. “The Framery Pods are the optimal supplement as a sort of resting point and retreat option in the open-space concept,” Geraths points out. A well-functioning office has a steady balance of spaces for collaboration and concentration. Particularly in open-plan offices, it is good to have places to rest and focus when the need arises, as this gives employees the necessary option to quickly hop in to one of the pods anytime a need for privacy arises. 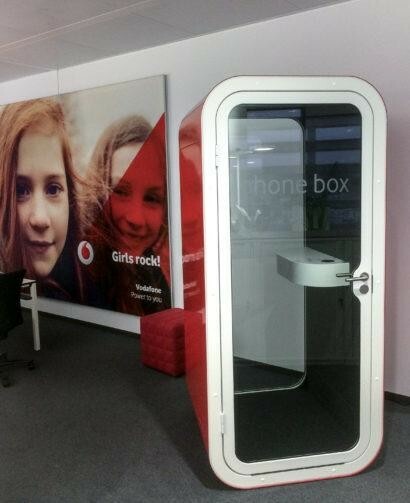 So how did the pods work in practice and how were they involved in the outcome of the Vodafone office development process? “The response to the Framery pods was quite outstanding,” said Geraths. 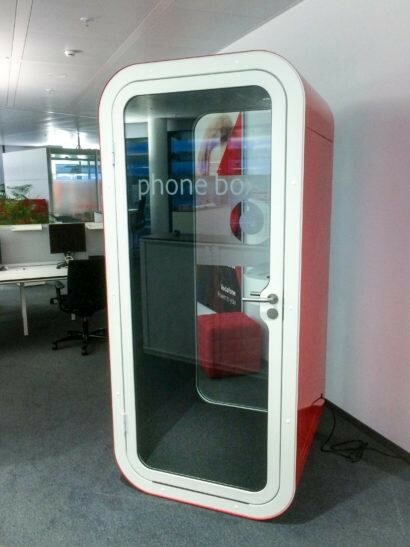 “The addition of the concept as well as the quality was very well received by our colleagues.” According to Vodafone, Framery pods were accepted as a part of the new ways of working in the Vodafone office.